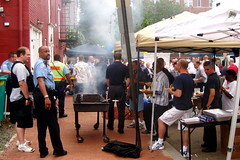 Neighbors and police in Washington DC enjoyed their neighborhood's National Night Out in 2008. Photo by DC9T. As we mentioned earlier, Tuesday August 4, 6:00 pm – 9:00 pm, is the annual neighborhood Block Party and National Night Out Against Crime. Groups of neighbors throughout the Hill — and throughout the country — are getting together to celebrate their community and hang out with the neighbors while heightening crime prevention awareness. If you haven’t registered your party with the police department yet, you can still do so until 9:00 am today. Registration materials are here. Of course, you can have a celebration with your neighbors whether you register or not, but to have the street closed, and for the firefighters to bring their truck by for the kids to check out, you’ll need to register your block party. These are the block parties we have been made aware of this year. Are you having one that isn’t listed here? Please post about it in the comments. Yesterday we were keeping warm and enjoying the snow. I was working on pulling together some things to post on the blog, and getting ready to go out and take some photographs and see what people were up to in the snow. 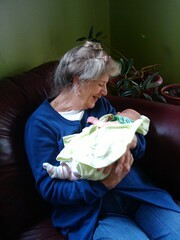 Then we got a phone call from our friend Kristen, telling us she was worried about her cat. I went to Kristen’s and saw that her 7 month old kitten Julius was indeed very ill, and needed to visit a vet immediately. But there were 11 inches of snow outside, and none of us had chains, snow tires, four wheel drive, or anything else that would be helpful for driving to a vet. Additionally, there are no emergency vets in Southeast Seattle. We would have to go to West Seattle, Wallingford, Bellevue, or Lake City. I guess you can’t call 911 and get an ambulance for a cat, can you? So we turned to the Internet. 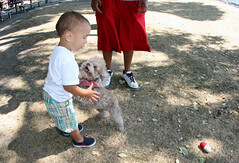 We posted on Twitter: “Trying to find emergency vet transportation for someone, to Wallingford from Beacon Hill. Sick kitten who needs a vet, and we have no chains”. We also posted an appeal on the Beacon Hill mailing list. And soon someone did reply. I don’t know if he would want us to mention his name for this, so I won’t, but a kind Beacon Hill neighbor drove Kristen and Jason up to the emergency vet, and waited there with them until they were able to see the vet and then come home. It is nice to know, that despite some of the neighborhood problems, that people are still neighborly and help each other out. Thank you to the neighbor who helped save Kristen’s cat.